New LinkedIn Policy Infuriates Loyal Followers. And they dont care! 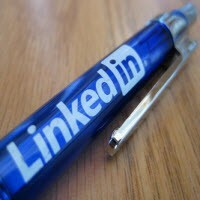 Home > News > New LinkedIn Policy Infuriates Loyal Followers. And they dont care! In fact it leaves me wondering if Social Media sites like this can afford to make such stupid mistakes, and how many mistakes like this it takes before those followers walk away, especially when it is a supposed to be a social media site for professionals and businesses. This all came about for me as a member of the Linked social network because one Group that I belonged to – and used regularly, started to become overwhelmed by spam. I wrote to the owner of the Group and asked if anything could be done about it. I even offered to volunteer some of my time to help monitor the spam. But my very polite email wnt unanswered. So a month later I sent another polite email asking for confirmation that he had received my first message, explaining how many of the members of the Group were complaining about the uncontrolled spam – and losing interest because of it. His response was to blacklist me and remove me from the Group. Disappointed by such an ignorant response, I left it at that. That is until LinkedIn (in all their corporate wisdom) decided in the last month that anyone removed from a Group must of course be a Spammer. So after 5 years of dilligently contributing to more than 40 Groups, and advocating the use of LinkedIn to all my business associates, I find myself without being able to make a post on any Group without having to have it reviewed by each Groups Owner. And this is where the problem starts to compound. As a Group owner myself, I have come to understand and realise that as many as 60% of Group owners start a Group and lose interest after a while. This in effect means that not only will many posts go unreviewed for days, weeks and possibly months – which means it was a waste of time making them in the first place – it also means that any message sent to the Group owner asking to have your posting rights restored, may also go ignored. And yes …thanks to LinkedIn’s rush to implement this new policy, it means that the only way to fix or overcome this unreasonable penalty is to write a message directly to the owner of the Group which you can do by finding their contact details on the Group Profile page – and then hope like heck they read their messages more than once every six months – and then restore your posting rights. And that’s the second disappointing fact. You would think that if LinkedIn was going to significantly effect the amount of time and effort that it takes to operate a Group on their social media site, the very least they could do would be to notify all of the Group owners explaining this change of policy, and what the ramifications would be. But there’s been nothing, not a word. And that’s really disappointing because LinkedIn growth is somewhat based upon the content being provided by the work of their Group owners. So to totally ignore them is nothing short of taking them for granted. So LinkedIn, shame on you! Surely there are better and more effective ways of minimizing spam, and surely you could have more regard for those innocent people caught up and penalised by an ill-conceived policy such as this. I am one of the member who was slapped by the policy of Linkedin. I am one of the most searched profile in the year 2012. But now, when I try to post a discussion, everything is going to under review. And most of them are not getting published. I even contacted the group owners. All of them are saying that they didn’t blocked for posting. Even after, I didn’t get back. Now I am looking for a way to get reailize.